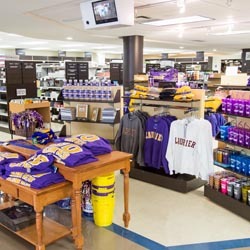 The Laurier Bookstore is a full service retail operation offering course materials, Laurier branded clothing and giftware, school supplies, stationery and general books. 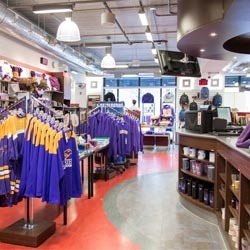 The Stedman Community Bookstore is a full service retail operation offering course materials, Laurier branded clothing and giftware, school supplies, stationery and general books. We are located in the West Wing of the Research and Academic Centre. The TechShop located inside the Laurier Bookstore offers laptops, tablets, the latest electronics and technology at very competitive prices. Academically priced software, exclusive educational promotions, USB drives, a great headphone selection and printer ink are just a few of the many great products you will find at the TechShop. The TechShop also offers full computer tech support and repairs to make sure that your computer is running smoothly! The Hub offers laptops, tablets, the latest electronics and technology at very competitive prices. 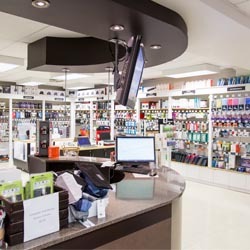 Academically priced software, exclusive educational promotions, USB drives, a great headphone selection and printer ink are just a few of the many great products you will find at the Hub. The Hub also offers full computer tech support and repairs to make sure that your computer is running smoothly! We are located in the East Wing of the Research and Academic Centre. 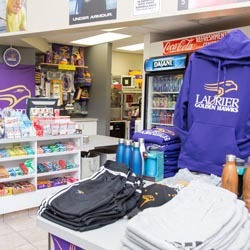 The Hawk Shop offers a variety of products including workout wear, official Laurier Golden Hawk wear, food, snacks and convenience items. Open six days a week, the Hawk Shop is located next to the Hawk Lounge in the Athletic Complex.